WALT: Practising posting positive comments using google share. Introduction. 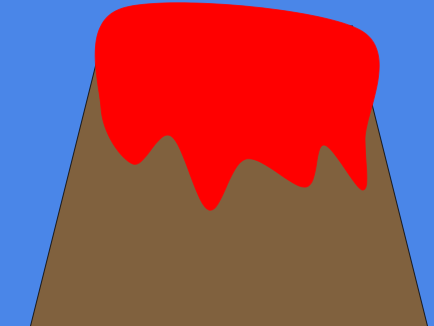 In New Zealand there was a boy that likes to develop facts about a volcano on a island called Rangitoto At the moment I was a scientist but he wished that he could go on a ferry to Rangitoto Island But he is scared of his boss. But one day his boss told him to go home because he said he was sick but he lied. Then the scientist went on a ferry to Rangitoto but the volcano started spewing out lava and massive rocks. Who? The character is me,myself and I. What? The volcano started spewing out lava and massive rocks. Where? It was at Rangitoto Island. When? It was to day. WALT: to learning moves on boxing. Right hook and left hook. Footwork,forward,backward and side to side. 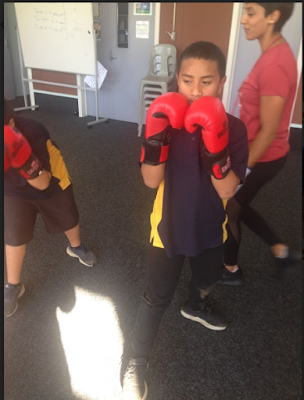 I learnt from boxing is the three Commandments and I learnt heaps of move and footwork I even learnt that you only use the moves in a gym or somewhere safely. WALT: Financial literacy in Primary. I found out that if you save money you can use it when there is an emergency and when you borrow something from other people like your friends or your family you must return it back. I learned that if you have a drivers license,passport and a wallet you must keep it in a safe place so no one can't steal it and pretend to be you. Increase the size of font. Give depth to the thought cloud outline. Replace the color of the fill to clear not blue. Who? The character is Santa Claus with a long white beard and he wears a hat with a white fluffy pom pom. When? It was on Tuesday afternoon. What? He finds a portal to another world. Why? Because he wanted to find out what was at the other side of the portal. Santa Claus who is a big fat old man that wears a hat on his head with a small white fluffy pom pom was making toys for kids. During a storm when Santa was delivering presents on his sleigh Broke down at the underground train station. When Santa Claus was in side of the underground train station then he walked until it got dark and he fell down it a portal that transport him to another world. WALT:Write an introduction Drain-Orientation Spiderman-Character Disagree with a friend-Problem Sc: To use the WALT. Enter after sentence. Capitals in the right places. Once upon a time there was a hero named Spiderman that protects a city called New York. One day Spiderman and his friend Deadpool which is a superhero to so they went to a drain because people were complaining something inside. So Deadpool said let’s go inside the drain and see what’s going on in there but Spiderman disagreed with Deadpool. WALT: Where do clouds come from? What did you find out? I found out when you put hot water into a glass of water and then you put a lid on the top of the cup and then you wait. then inside the cup it becomes foggy and watery inside and if you put a paper with writing on the other side your looking you can't read it threw the cup.